The administrator will have the ability to add the built integrations offered through Nectar Desk. 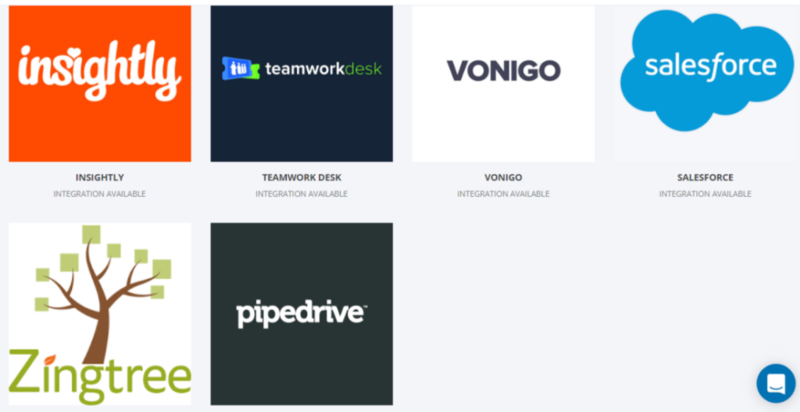 We currently offer direct integration with Zendesk, Shopify, Pipedrive, Teamwork Desk, Insightly, Vonigo, Salesforce, ZingTree and Active Campaign. Nectar Desk also has integration with Zapier. The list of the direct integrations will continue to grow and updated.